Cut a piece of pattern paper (double sided is nicer) to 3″ x 6″. Staple sides to close and form the pocket. Cut a piece of cardstock to match (or pp if you choose) to 2″ x 6″. Fold accordion style at 2″ and 4″. Decorate the front of the folded tag with a tab at the top so you can see it when it’s in the pocket. Technique Tidbit Thursday: Gift Bags! 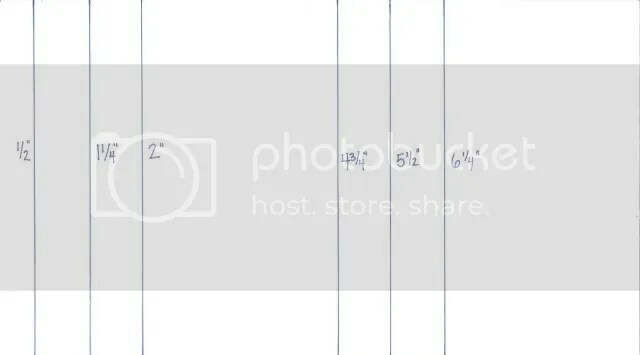 Score your paper horizontally at ½, 1¼, 2, 4¾, 5½, and 6¼ inches. Score the vertical lines at 1, 4, and 4½ inches. Now we’ll need to create some diagonal score lines. Measure ½ inch down from the top left side. Draw a diagonal line to your 1 inch score horizontal line. Measure 3, 3 7/8, 7 3/16, and 8 inches on the top edge and draw diagonal lines to the 1 inch horizontal score. 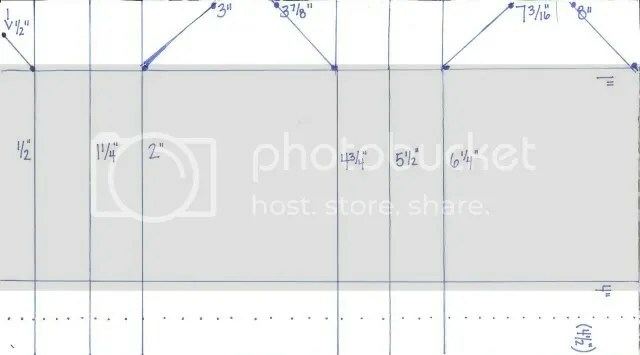 Crease all score lines except for the 4 ½ inch vertical score (this will be used as a guide to punch our handle holes). Punch holes at 2¾, 4, 7, and 8¼ inches along the 4 ½ inch vertical score that you didn’t crease. Glue down diagonal folds. 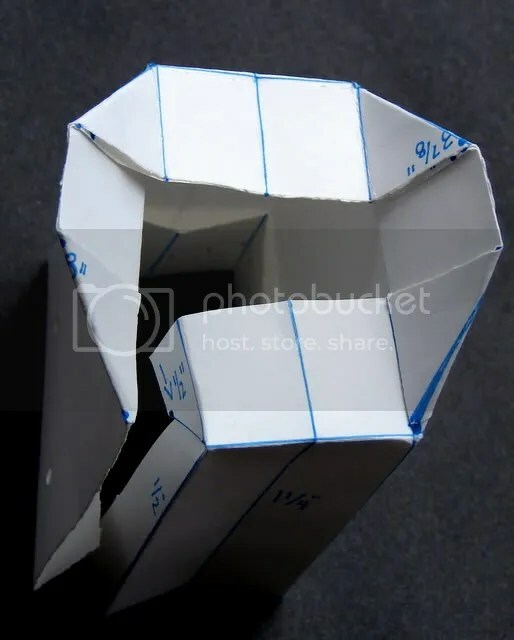 You should be gluing down 5 “triangle” shapes. Glue down your ½ inch score mark. Glue the bottom of your bag together. Add ribbons to your punch holes and your bag is complete! 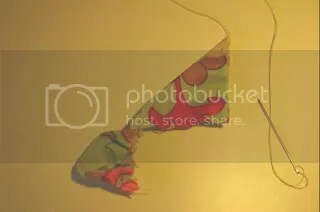 Technique Tidbit Thursday: A Webby Delight! Aren’t those cobwebs just da bomb? What a clever idea! Megacrafty has a great tutorial on her blog on how to create these fantastic spiderwebs. If you have coffee filters and a craft knfe, you’re pretty much on you’re way. See the tutorial here. I hope you enjoy this online class. This is a super-fun, easy technique that yields great results. I wish this had photographed a bit better…the tiny, glittery details are a bit hard to capture. 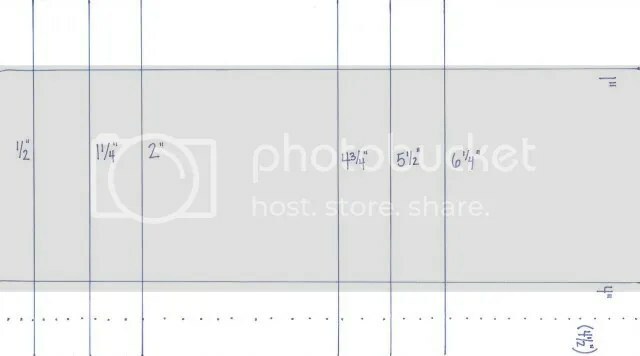 I’m going to teach you this technique by creating a card, but you can use this with layouts and other projects, too. All of the supplies I used are from Scrapbooker’s Club House! 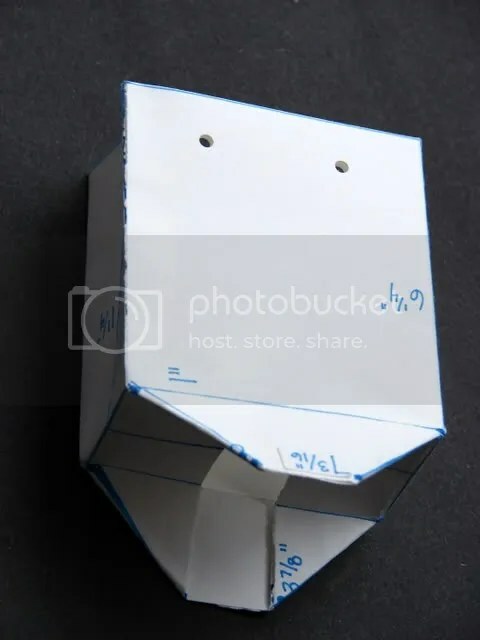 You’ll need: cardstock, glimmer mist, chipboard shapes, and embellishments of your choice. Arrange chipboard shapes on cardstock. Do not adhere. Spray glimmer mist over chipboard shapes and card. Let dry completely. Lift chipboard shapes off and set aside. 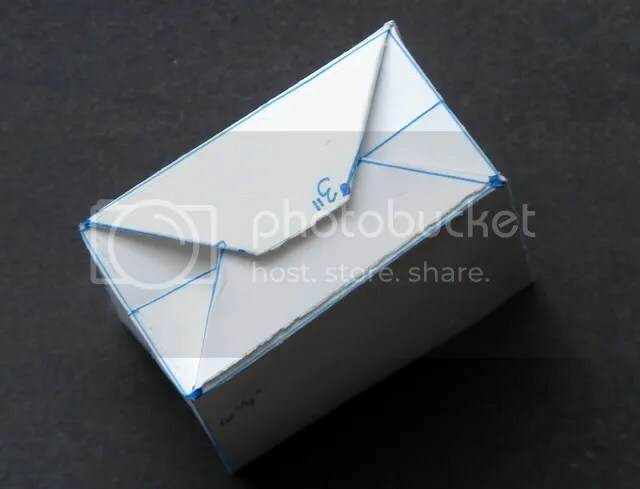 You now have a beautiful, metallic card background with a unique design showing where you placed your chipboard shapes. (The photos make this look a bit more “blotchy” than it is in real life, which is metallicy goodness! Feel free to use them on another project. Watch for my layout at the end of the month featuring these pieces! I hope you enjoyed this fun & easy technique! When picking a art stamp, you can choose one with a design cut evenly and deeply into the rubber. These will produce a sharper more detailed image. 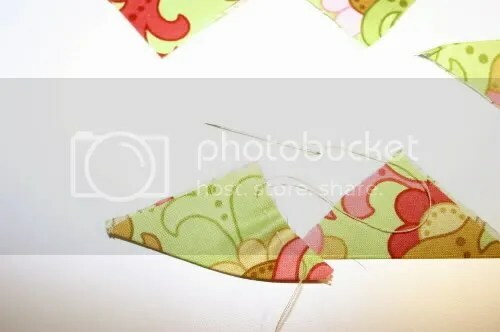 Technique Tidbit Thursday: Fabric Flowers! Alrighty ladies! 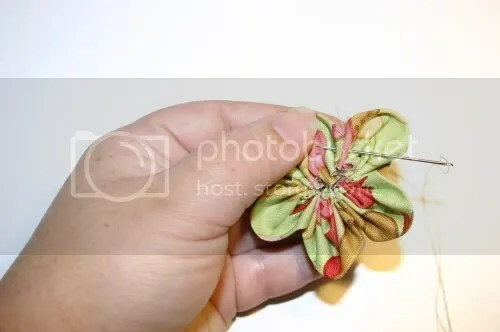 I have a fun fabric flower you can make to use on a card or on a layout..You can also make lots to incorporate as many as you like to your designs. Cut your fabric into 5 – 2″ x 2″ squares. Iron each square shaping them into triangle peices. 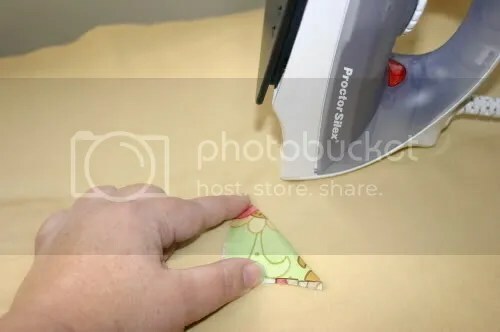 Thread your needle with enough thread to go through all your pieces. Sewing with a very loose stitch weave your needle through the two raw edges. 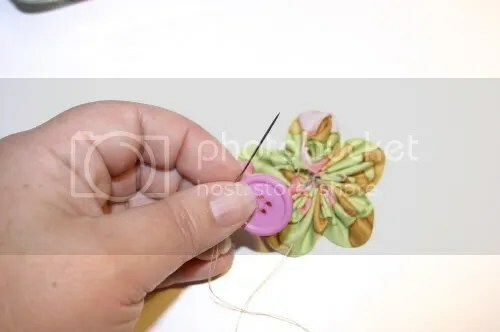 Pull the thread tight creating a petal and continuing onto the next 4 petals doing the same. 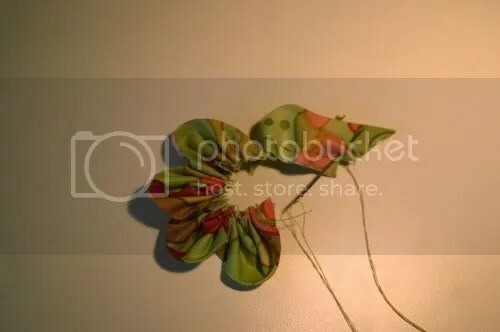 When you have finished all 5 petals, sew the two end petals together creating the flower. 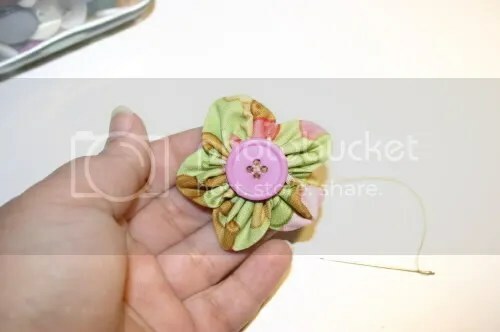 Flip the flower over and sew on your button making sure to catch any loose fabric and making sure to catch a piece of each petal from underneath making sure of a even center of the button. And whaa laa! 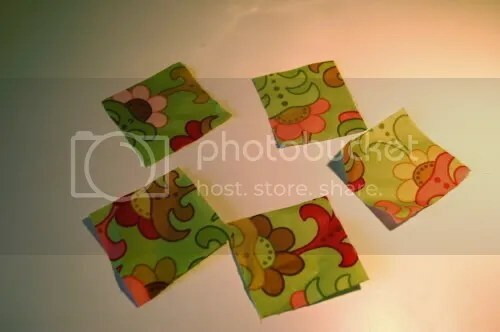 There you have it..a cute little fabric flower to use on your layouts, cards or on mini albums. 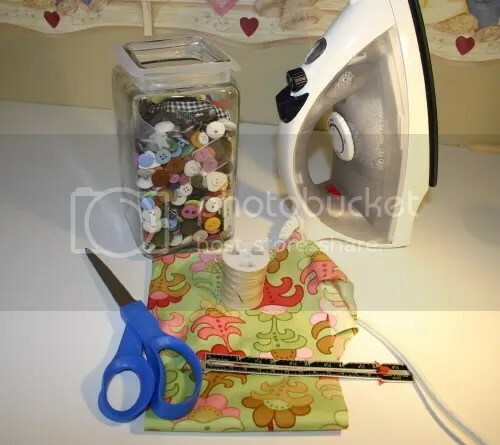 You can create these flowers any size from adjusting the squares you cut out from the fabric..just as long as you keep the measurements square you can use 1″ x 1″, 2″ x 2″, 4″ x 4″ etc….